Well after 5 days of fishing on the California Delta for the BBT TOC my season is a wrap. We finished 20th out of 160 boats in a very tough event. The Delta has not been kind to my partner and I the past few years and this time was no exception. We saw weather and temperature changes throughout the event and practice. For us this change various bites we had found. Over all the punch bite was most consistent for us. In practice we were catching solid fish, 4+ lbs. If we got bit we dropped a waypoint and moved on. We caught top water fish on Wednesday but never had another bite on top so we ruled it out. The senko bite for us did not exist. 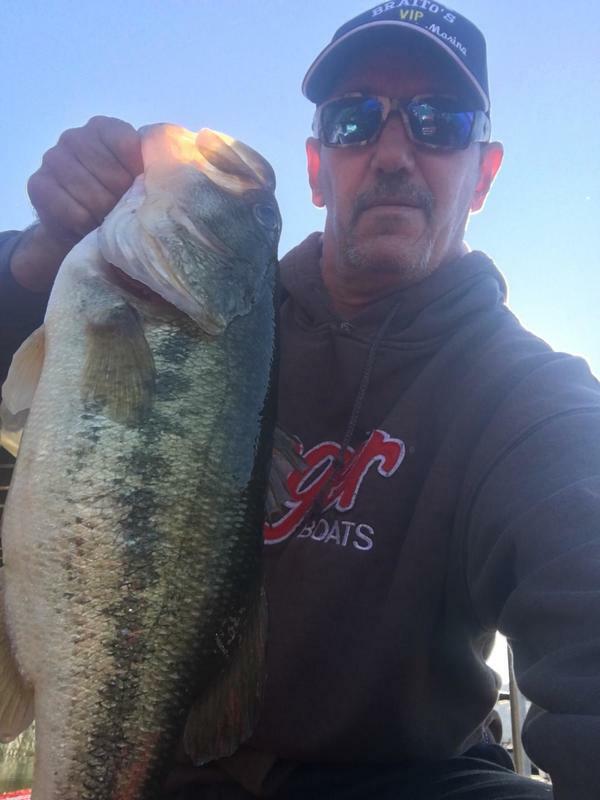 I caught chatter-bait fish here and there on flats throughout practice and felt Id get a few bites during the event but it was not a focus. What was evident for us was the punch bite was good, but we would be burning some fuel as our stops were spread out throughout the Delta maze. The most productive spots to punch were small isolated mats. This was our primary target. The bigger mats also held fish but were more work to fish them and cover them properly. We caught fish in water from 1 to 8ft deep. Protected pockets seemed to have the better grade fish while the current areas held bigger populations. Baits varied from day to day but the Strike King beaver style baits in green pumpkin worked every day. We also caught fish on the D Bomb and the Flapping Hog, again green pumpkin. In the end we never found enough water as we were sharing our main area with 2 other boats. I believe all 3 of us were in the top 25. Just not enough good fish for 3 boats and 2 days. The weather is transitioning and the bite should be turning on real soon. For me its the off season. Time to get the boat serviced and get some of my projects done. I will get back after in when January arrives.